KW/2 became PrimeTime Lighting five years ago with little fanfare. In 2013, Glen and Cynthia Harn acquired the company and realized customers didn’t realize the switch had occurred. For the past year, the team at PrimeTime has been focused on new products aimed at the LED market, launching the GUS 41 LED Fresnel, 1SLED and MSLED. “The same Texas team continues to design, engineer and manufacture the broadcast studio lighting products resulting in the KW/2 and PrimeTime legacy of high performance, superior quality and lasting durability,” said Harn. “It outperforms competitor’s LED Fresnels with PrimeTime’s highly engineered and energy-saving technical innovations,” said Harn. 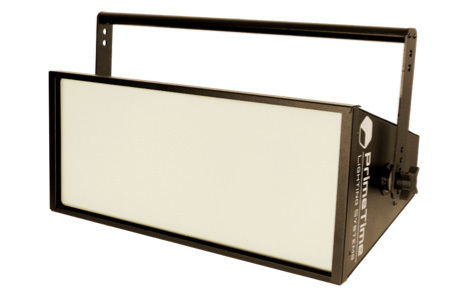 Dubbed the SLED series because of new LED technology, the series includes two different luminaires which were heavily influenced by existing top-selling PrimeTime fluorescent fixtures, previously manufactured under both brand names KW/2 and PrimeTime.